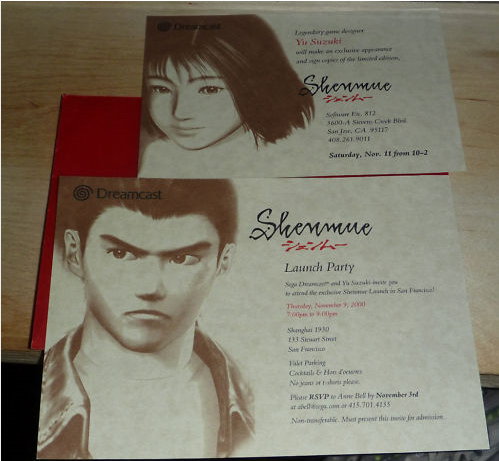 An ex Sega employee who worked on Shenmue is auctioning off the invitation he was given to the launch party for the game. Whether or not its legitimate is up for debate but it seems like it may be. A pretty unique collectible and I can’t wait to see how much it sells for. Ryo Hazuki Leaked in Sonic & All Stars Racing Transformed? Just think. When these invites were created Sega had intentions of eventually releasing all the Shenmue games Yu Suzuki had planned.